Keeping track of contemporary market development, we are devotedly occupied in providing an extensive series of Flat Bed CNC Lathe Machine. »: Ideal for small scale industries. 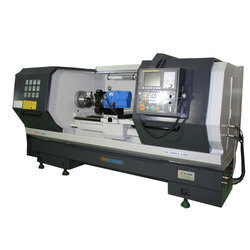 Also suitable for medium and heavy industries where full-fledged CNC lathes are not techno-economically justified. »: Flat bed with rigid triangular section with hardened and ground guideways. 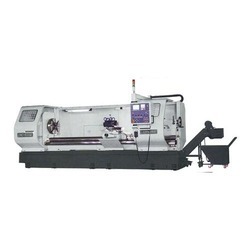 Sri Yantra Engineering Agencies (P) Ltd offers precision Flat Bed CNC Lathes.